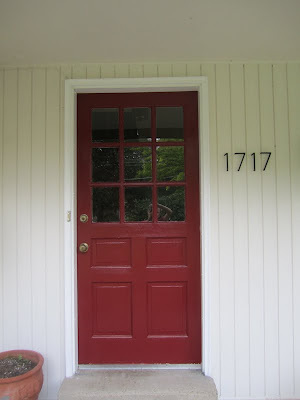 I finally got around to addressing the front door frame. 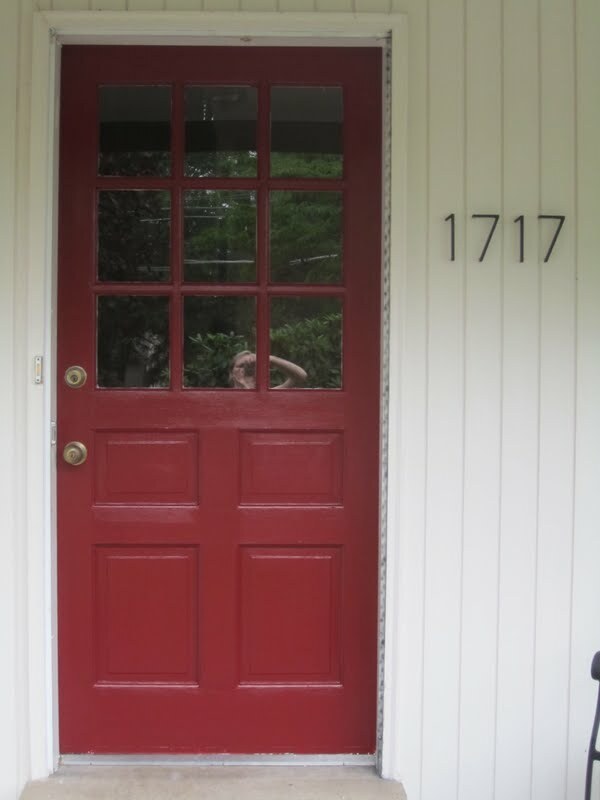 The very day we closed on the house, I removed the old storm door that was in front of our front door. It served no real purpose and was not very pretty. Plus, I knew it would block the eventual red front door, so down it came. There were a bunch of holes in the door frame that I knew I'd need to fix up. So I did. I took some spackle, caulk and wood putty and filled in all the holes and cracks and then swiped on a few coats of glossy white paint. Done. But while I was out there, I noticed that the trim around the door was painted the same color as the siding. I thought maybe it could use more of a punch. So I painted the trim white. It's not a major change, but I think it defines the door and makes the area look much more crisp. What do you think? And of course I won't stop there. I'll paint the trim around the dining room window white too. And I am sold on adding black shutters on this window too and will paint all of the brown trim a crisp white. Here is the area I'm working with. Eventually I'll need to add some sort of furniture: a black bench, maybe some pillows in outdoor fabric ... and I am tossing around the idea of staining the concrete too. What would you do? You're right it a subtle difference, but a great one! I love the idea of adding black shutters!